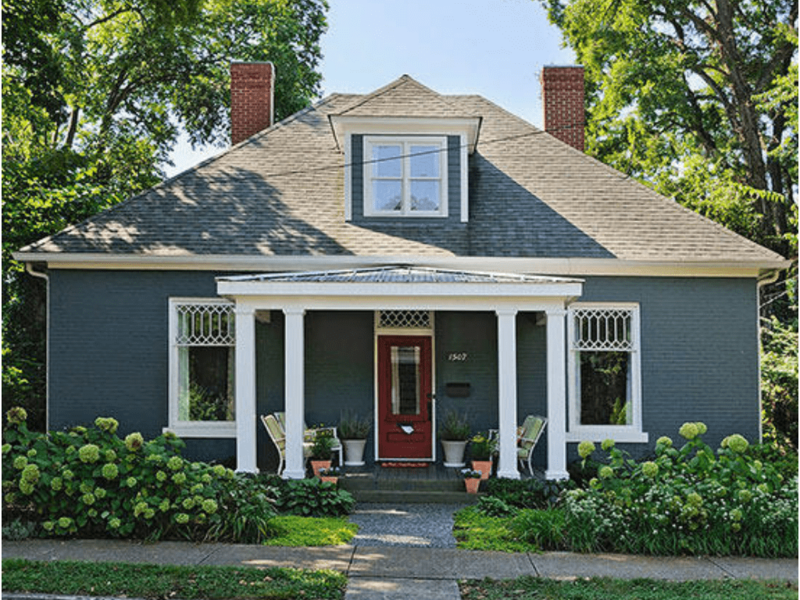 If you’ve been thinking seriously about a home remodel, but can’t afford to foot the bill for everything at once, you might want to consider beginning by giving your home exterior a makeover! Many people love to focus on renovating the interior of their homes when they get started on home improvement, but the value on investment isn’t always that great. When you makeover your home exterior, though, you instantly increase your homes curb appeal and your equity along with it. 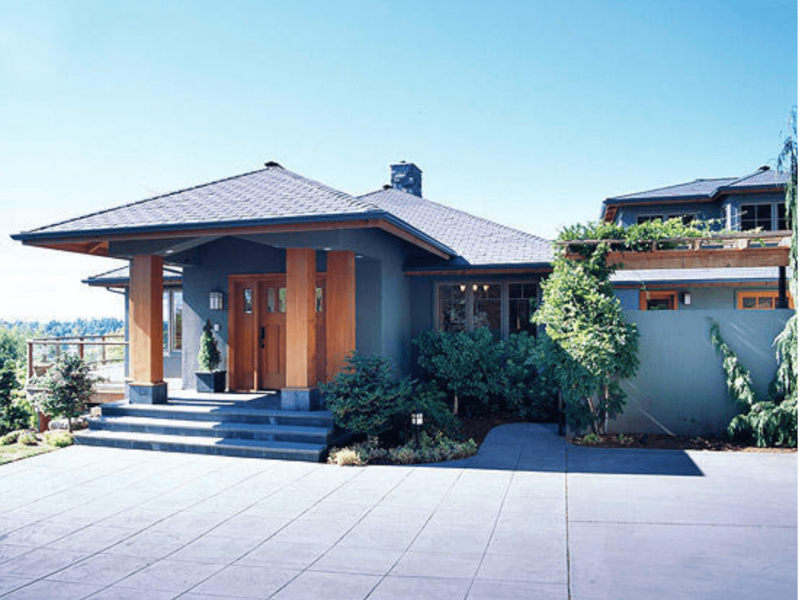 The best part about revamping the exterior is that you can make dramatic transformations to your home’s facade with budget-friendly techniques and materials. Just a few changes here and there can take your house from drab to fab at minimal cost. Sometimes, all it take’s is a new color of paint and a few new shrubs. Even if you aren’t looking to sell your home, increasing curb appeal and equity is always a good idea. 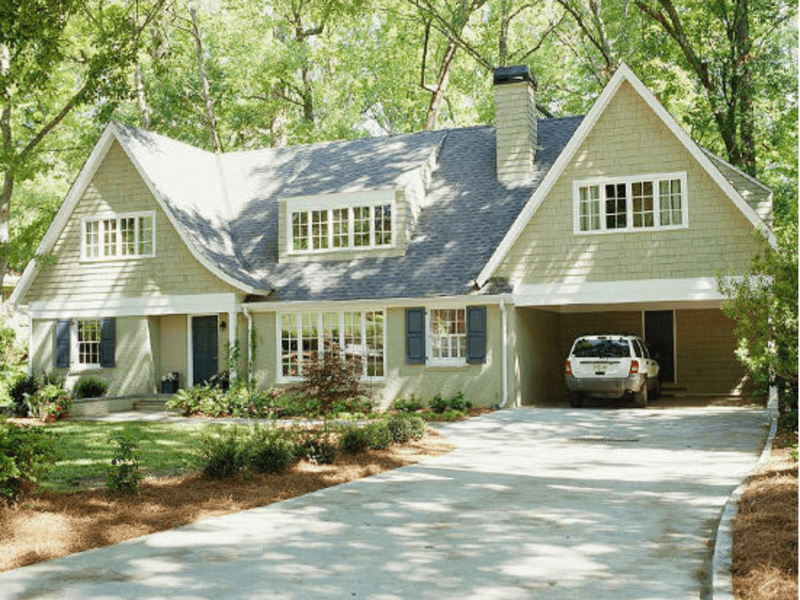 Not to mention, the exterior is the very first thing you see when you come home, and getting it just how you want it can make all the difference. 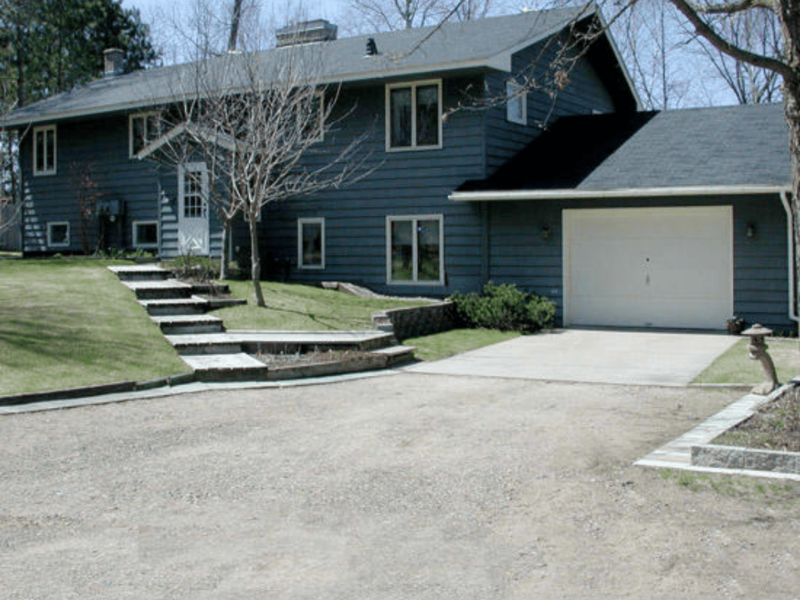 Check out the amazing before and after images of home exterior transformations below to get some inspiration. Just make sure to have that vision board handy! Having a house on the lakeside always sounds enchanting, but if the beauty of your home doesn’t match up with that of the lake’s, it’s really just an eyesore. This run-of-the-mill two story just wasn’t complimenting its surroundings. With its cold color paint, barren landscape, and blank walls, what could be an elegant lakeside getaway was sticking out like a sore thumb. With just a handful of modifications to your home exterior, you can turn your bland looking two-story into a lakeside dream home. 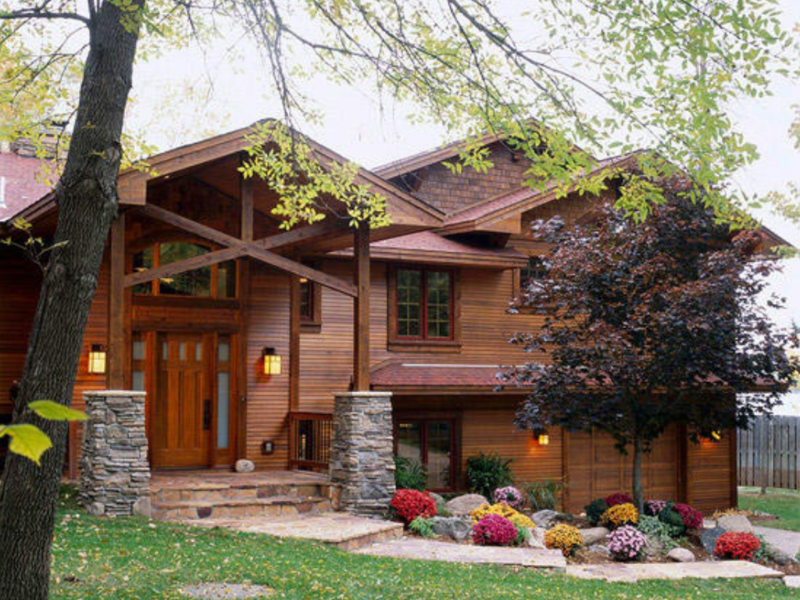 Using cedar siding instantly gives the house a warm and inviting feel. The addition of a new roof-line coupled with stone pillars supporting a cross-gable extension over the doorway makes this home a dramatic and impressive work of art. 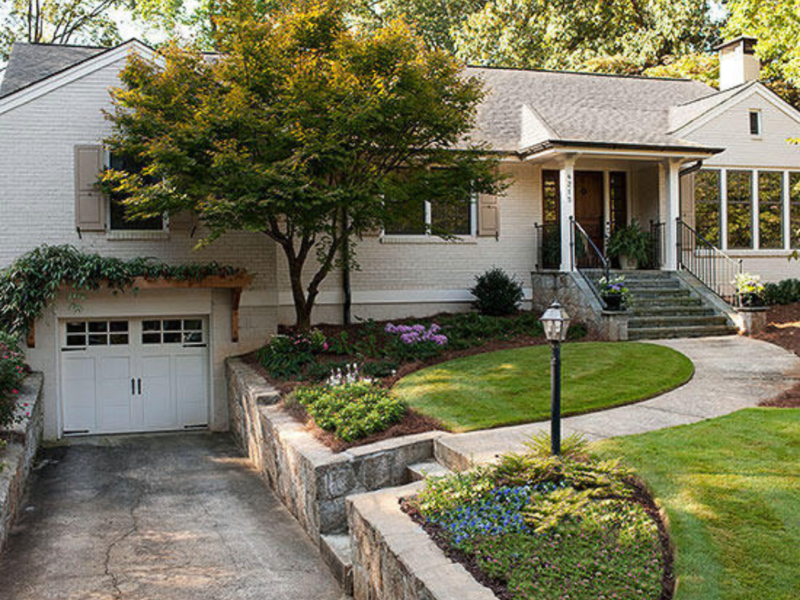 By widening the stone steps and replacing concrete with natural flagstone pavers, and landscaping with boulders and bright flowering shrubs, this exterior makeover leaves nothing to be desired! At one time, this 1922 built tiny cottage might have been an adorable little dwelling nestled among the trees. When the owners found out they were expecting a new addition to their family, though, this one-bedroom bungalow suddenly seemed cramped and ugly. Clearly, it was time for a home addition, too. Of course, an appealing exterior makeover would have to come with it. 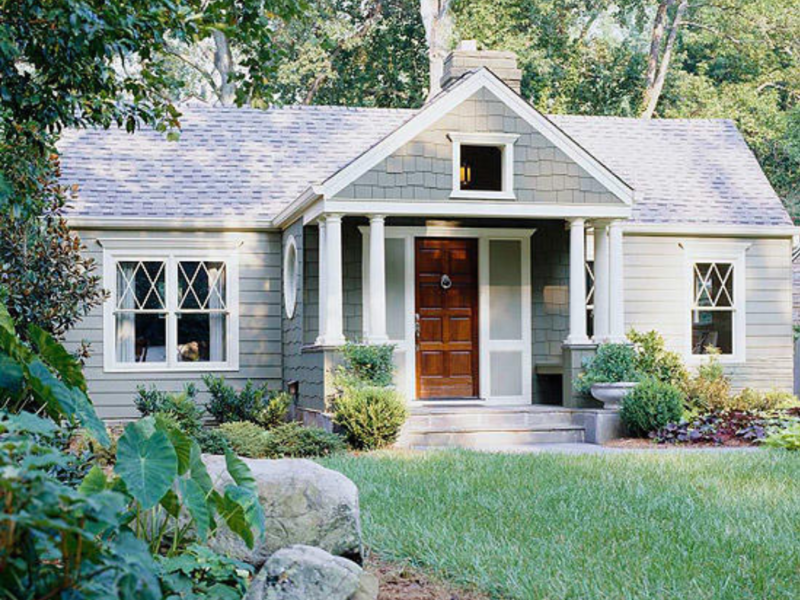 With just a few additions, this sad looking cottage was completely transformed into a charming Cape-Cod classic. The entry became immediately more pronounced and welcoming with the addition of a gable over the doorway and a new and improved concrete pathway. 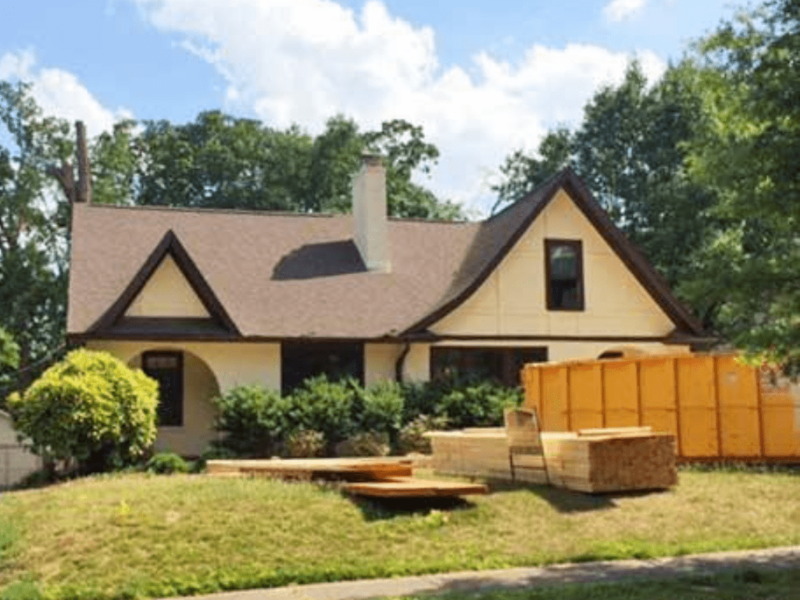 Building an upper floor gave the growing family the space they required, while cedar shake siding paired with a white trim tie the entire home together, blending the additions in seamlessly. This small house boasted all the potential for a cute, family-friendly dwelling. The enclosed porch and the bay window that made up a third of the home’s exterior, with the lackluster yard were seriously dampening the home’s curb appeal. With a little vision and a few changes though, this closed off space was set for a striking transformation. 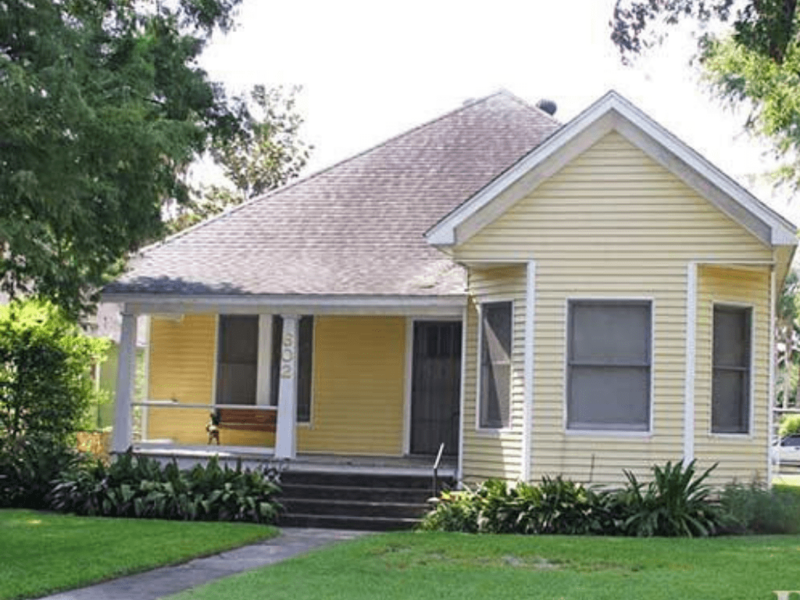 By extending the front porch outward and all the way across the home front, this once claustrophobic exterior was transformed into an open space that matched the neighborly feel of the historic district the home sits in. A little landscaping overhaul, with a new charming low fence and luscious creeping vines to create interest for the eye, accent the home’s new look. The addition of a new walkway of large concrete pavers with small graveled borders leading up to the porch set off the exterior that much more. 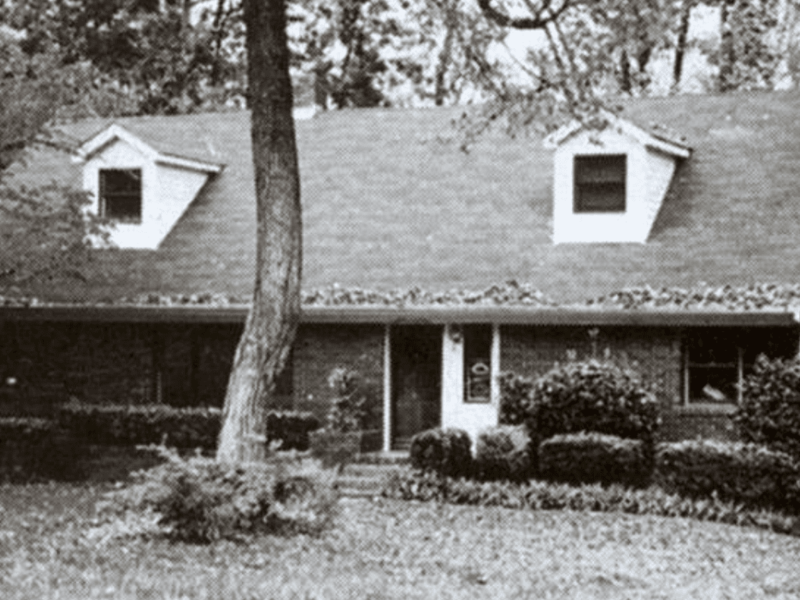 The bland home that was is now stately in appearance, with the light gray paint, white trim and brown corbels that blend into the new tapered white columns, buttressed by beautiful brick supports. 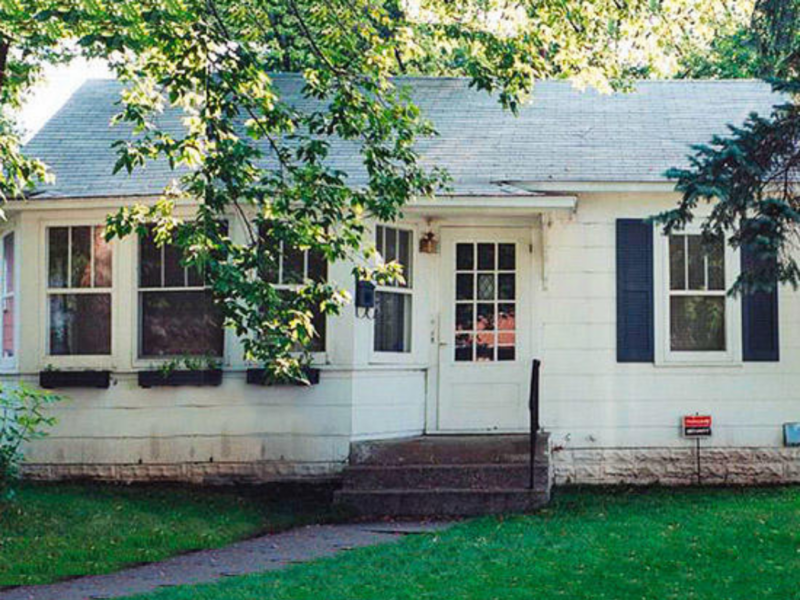 This old brick ranch had seen better days when the homeowners decided it was time for a little house rejuvenation. The disintegrating wide bands of mortar and the mix-up of color in the small bricks gave this home an outdated look. The overgrown bushes only added to the appearance of unwelcoming neglect. After a little landscaping and a slap of color to the exterior, you wouldn’t believe it was the same house. 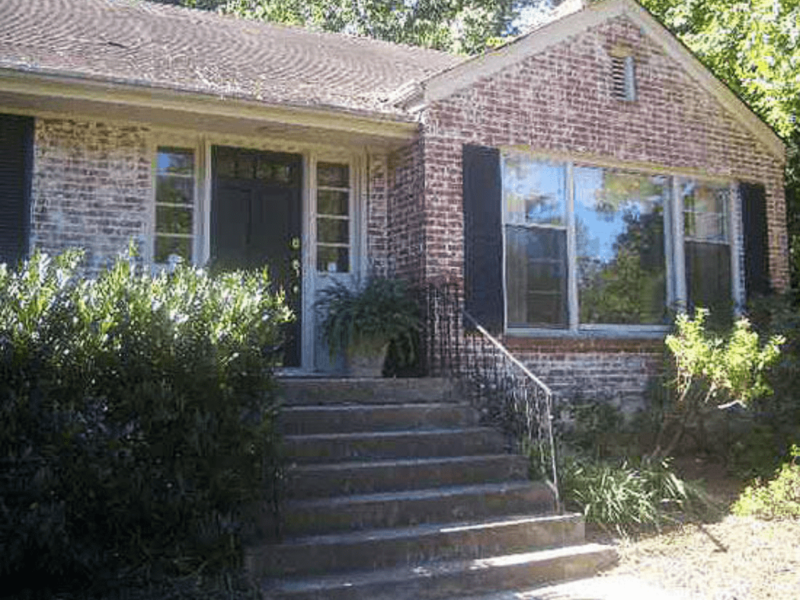 By painting the bricks with one solid color of luke-warm white and offsetting it with a light tan paint on the shutters with solid white trim, this home’s curb appeal was instantly upgraded. Adding a portico over the entry, and stacked stone encasing the stairwell ending in small pillars made a perfect visual segway into the new stone path. The home exterior was instantly opened up with the removal of the overgrown shrubs in exchange for smaller ones that bled into the newly landscaped lawn. This once inviting cottage, built in 1933, needed some drastic updates if it were to be kept from the wrecking crew. 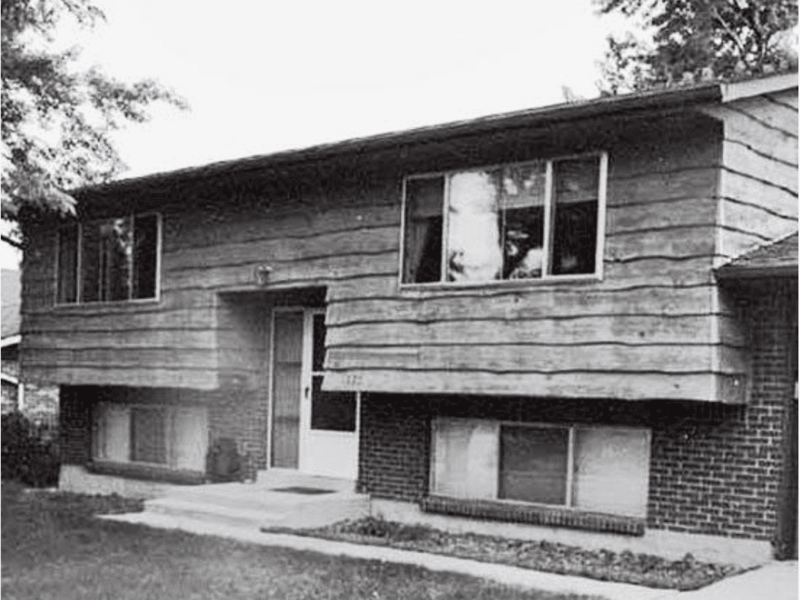 The slight lean of the brick and worn exterior gave it a dilapidated look that wasn’t suited for living conditions. On top of the crumbling facade, the neglected yard kept this diamond in the rough hidden from view. With some intense remodeling, though, she was once again a shining gem. A complete overhaul on the entryway, with the addition of a portico atop three Tuscan-inspired columns flanking each side, opened this home exterior right up. The White columns gently flow into the light gray supports that double as built-in seating. The shuttered windows were replaced with new sash diamond pane ones encased in white trim and crown molding to offset the new color while maintaining a truly vintage appearance. Wide Crab Orchard stone steps lead from the portico to the pathway that winds through the thoughtfully landscaped yard, turning this fixer-upper into a magazine-worthy cottage. 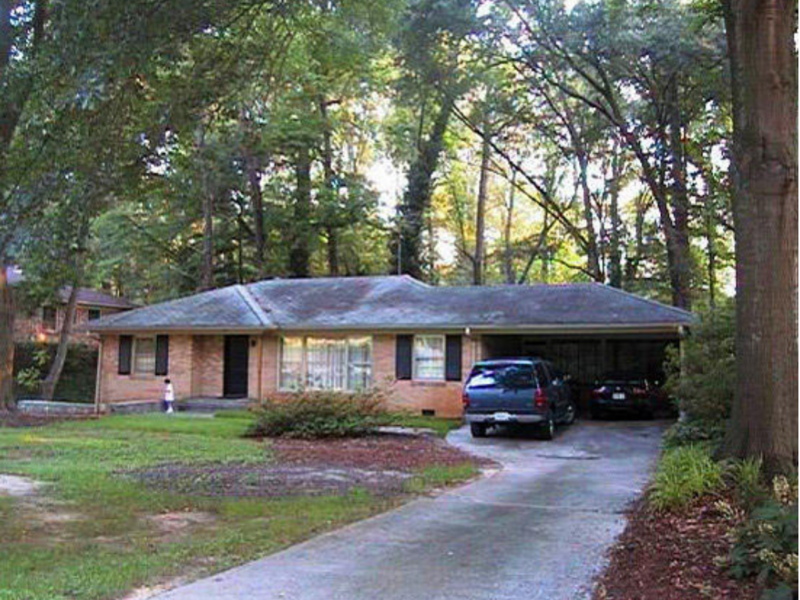 There was more than meets the eye to this unassuming brick ranch. Nestled amongst tall trees on a wooded lot, the house boasted a large basement and was set on top of a solid foundation. These features convinced the homeowners this house was well worth the cost of a home exterior makeover, and they were right! By adding a second level to the home, complete with two gables separated be a shed dormer, its appearance was utterly transformed. 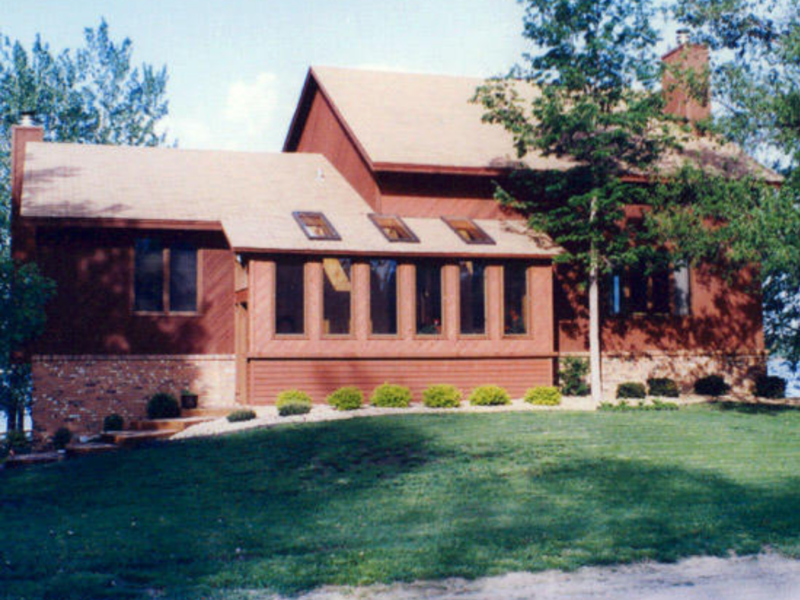 The gables and dormers were fit with a total of 13 six-paned windows; 4 beneath each gable and 5 centered beneath the shed dormer, to match the paned windows of the original home while flooding the newly added top-floor with natural lighting. The owners tied the new elements of the home to the old with historic gray masonry paint enhanced by white trim along the windows and charcoal gray for the shutters. After some light landscaping, this renovation set the neighborhood standard for curb appeal. 7. Before: A Patch-Work Of No! This home was striving for all the elements of a classic Cape-Cod cottage vibe, but the sizing and color were all wrong. 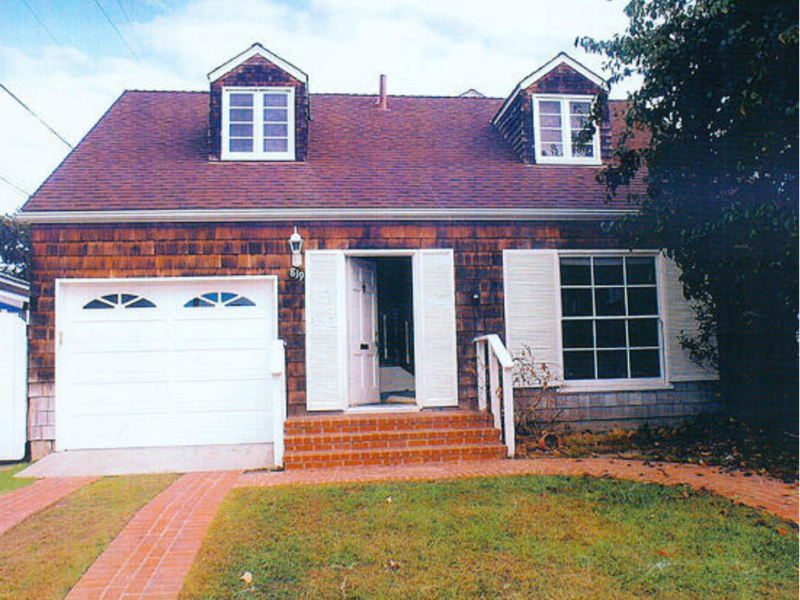 The once beautiful cedar shake siding discolored from decay caused by air pollution, and the large expanse of white across the garage door, shutters, and trim made the homes bottom level appear totally at odds with the smaller frame of the upper level’s shed dormers. Fortunately, it was only a few renovation tactics away from being the home it was meant to be. A few updates were all it took to turn this outdated Cape-Cod cottage into a welcoming and picturesque one. By replacing the bulky looking white garage door with a new cedar door, and the house with new cedar siding, the update had an inviting and rustic feel. Larger dormers took the place of the small unsightly ones, and the wide shutters and 12-paned window on the bottom were traded in exchange for tall side-by-side, 20-paned windows, maximizing on natural lighting. The extension of the brick stoop into a porch beneath a new portico and an added pergola above the new front windows give it an inviting entertaining space. The new architectural elements are tied into the framework of the house by including white trim and arches surrounding the doors and windows to match the impressive pillars supporting the new entry. A curbside view of this 1970’s exterior would have you thinking you’ve happened upon an outdated church. The direction of the cedar siding running diagonally along the horizontal brick foundation make this structure look out of place and unappealing. The solarium attached to the front made this house even more unwelcoming and in desperate need of some simplistic upgrades. Doing away with the solarium instantly opened the home exterior up for some much-needed revival. The addition of a stained wooden porch running two-thirds the length of the exterior and covered by a new portico give onlookers a warm invitation to the main entry. A new wooden door encased in window-paned side paneling provides focus to the entryway. 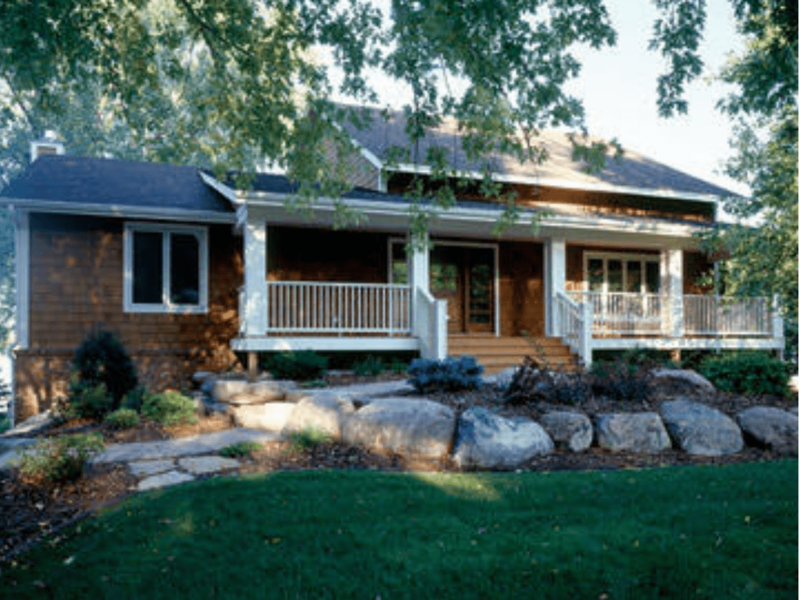 The owners ditched the diagonal siding in favor of classic cedar shake offset by bold white covering the pillars and railing of the porch and trim of the house. The additional landscaping with large boulders in front of the porch gives the home a breathtaking look that matches its lake-side view. 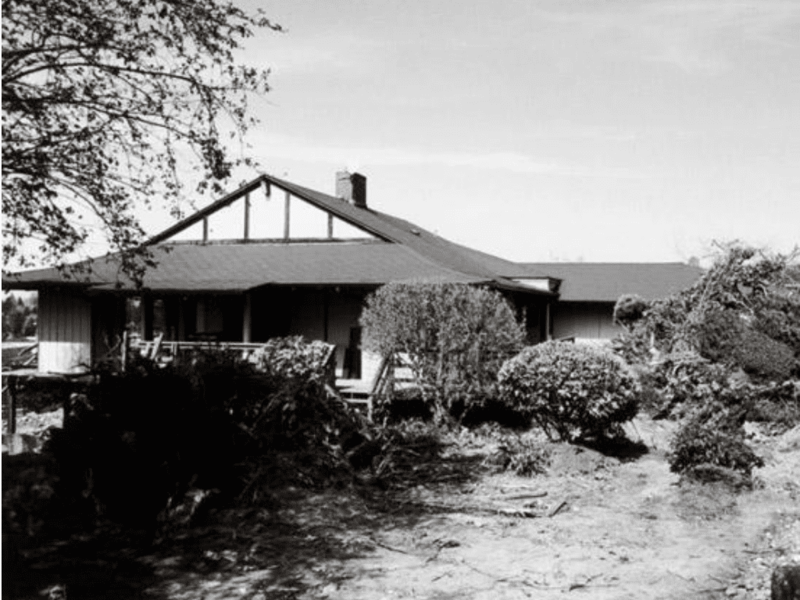 This ranch home, constructed in the 1950’s was in need of some serious modifications. The large dormers seemed disproportionate to the small and unpronounced windows on the lower level. A row of neglected shrubs obscured the brick that was supposed to serve as the focal point in the outdated ranch home, and the lack of a porch made it seem uninviting. Adding cedar shake siding covered double gables above the newly pronounced entryway brought out the beauty and color of the multi-colored brick front. The gables work to frame the added foyer, and gentle arches above the new brick-laid porch and entryway provide pleasant break-up for the eye, instead of the straight edge of the roofline and overhang from before. White trim surrounds the new larger windows on the lower level and the triple-paneled windows in the main gable to match the newly renovated dormer shed. The glass door with side-lights gives added focus to the entryway as the brick facade mirrors the gable arches and sweeps down to the new winding stone path. Fresh, low-maintenance landscaping brings the new face of the exterior together in a warm and inviting street side view of this renovated ranch home. This home may have been new, but the Georgian-inspired architecture was severely lacking in some key focal elements. The sweeping rooftop down to a straight facade, lacking a porch for entertainment, gave this potentially magnificent home a lackluster appearance. Sad as it looks, it was only a coat of paint and some thoughtful additions away from being a neighborhood showstopper. 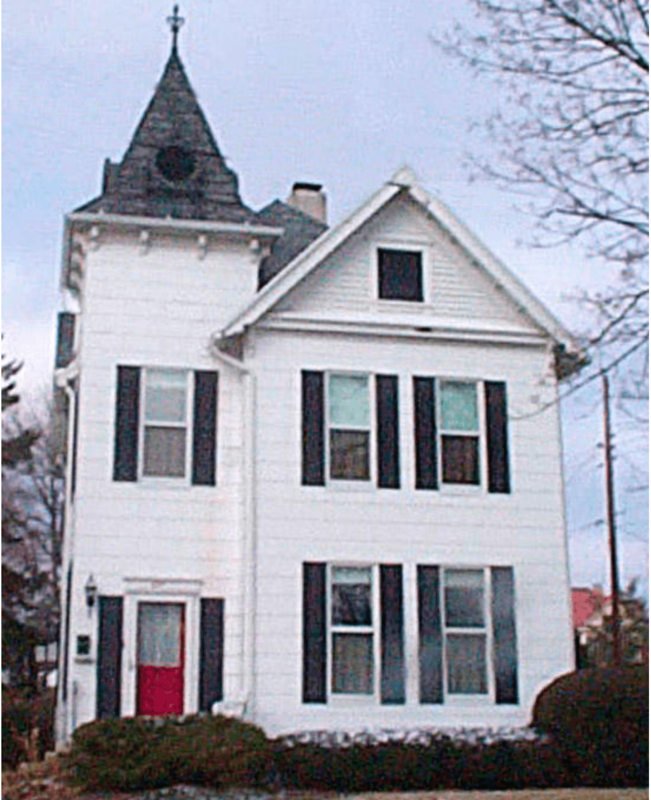 Playing off the original style of architecture, homeowners kept its Georgian appeal with the addition of large dormers. 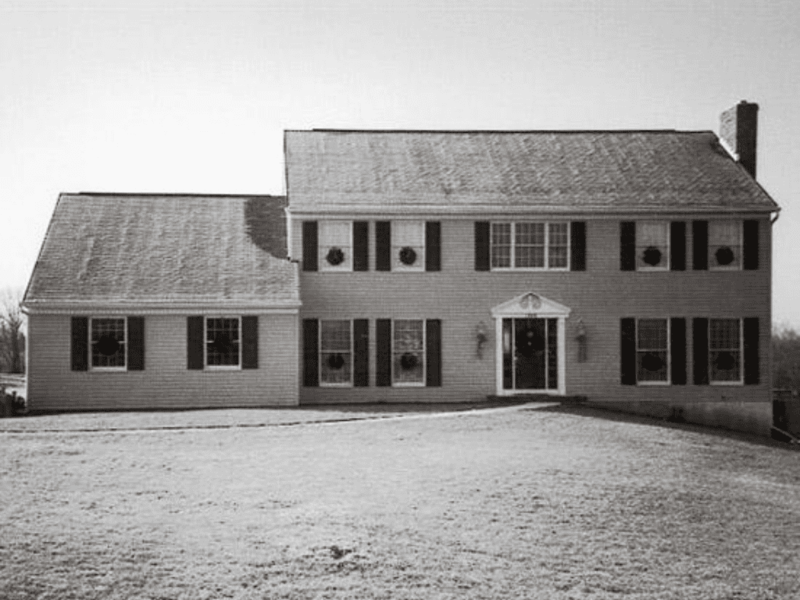 Two of them housed above the garage, three along the main portion of the home, and two more to accent the newly added sunroom to the right of the house, gave it the rich symmetry and stately feel these homes are known for. The addition of a large balcony that doubles as a portico set above impressive Greek-fashioned pillars add even more to the grandiosity of the exterior. Finished with varying shades of white paint and trim, and offset with dark gray shutters, this house blends seamlessly with its new landscape. Complete with a stone fountain and statues peppered among well-placed trees and shrubs lining the stone path, there is nothing left to be desired. 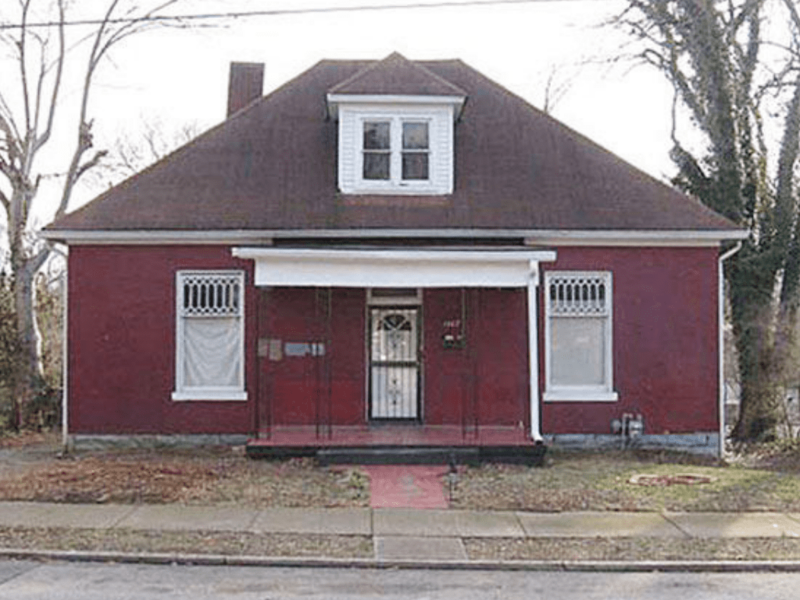 While Victorian homes are filled with style and old-world charm in and of themselves, this 1893 fixer-upper had lost much of its exterior interest when it began to fall into disrepair. 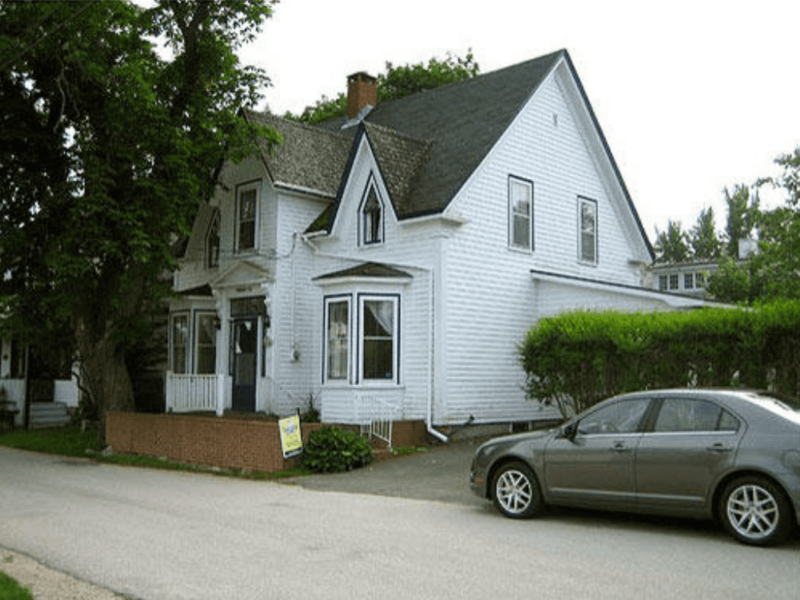 After the decaying porch that adorned the front of the home was removed and rotting siding replaced, the old house lost a great deal of its Victorian appeal. With a few key changes, though, it was given new life and served as a focal point of the neighborhood once more. 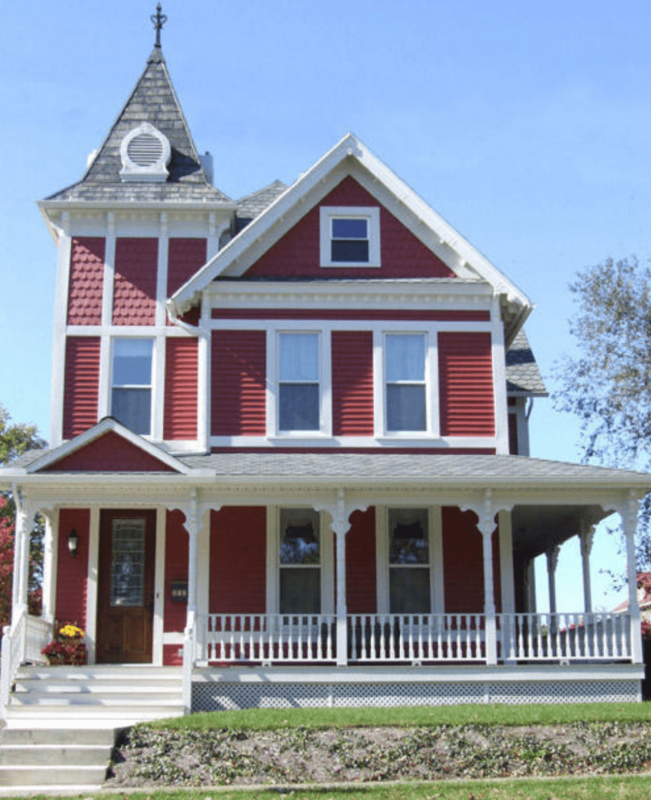 Classic Victorian flare once more graced the home exterior with the addition of a porch that wraps around from the front along to the side of the house. Tradition was restored in the siding with decorative half-round paneling to the Gable and tower, while straight siding adorned the lower half of the house. A portico was added to the entry that flowed with the new porch, and wooden steps leading to the stone stairs from the street made the exterior more inviting. 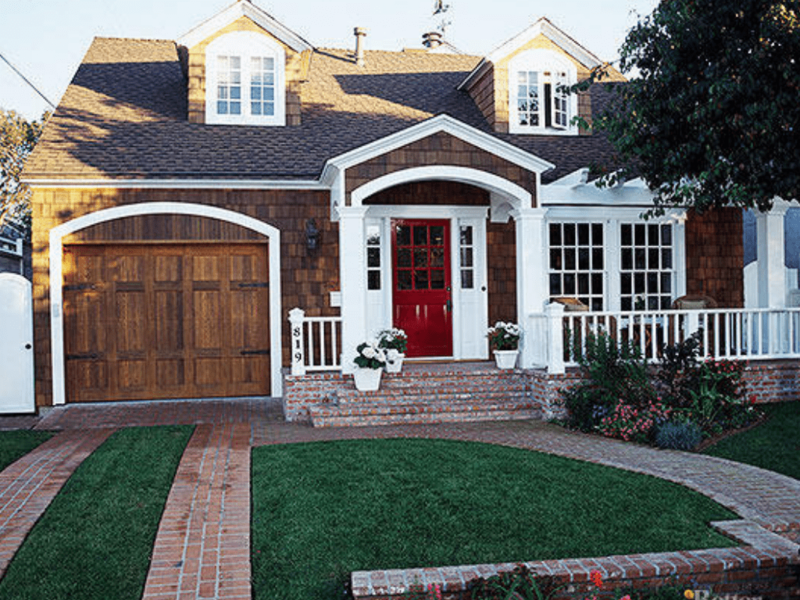 Painted barn-red and contrasted by bold white trim, this house now boasts all the drama its era is known for. 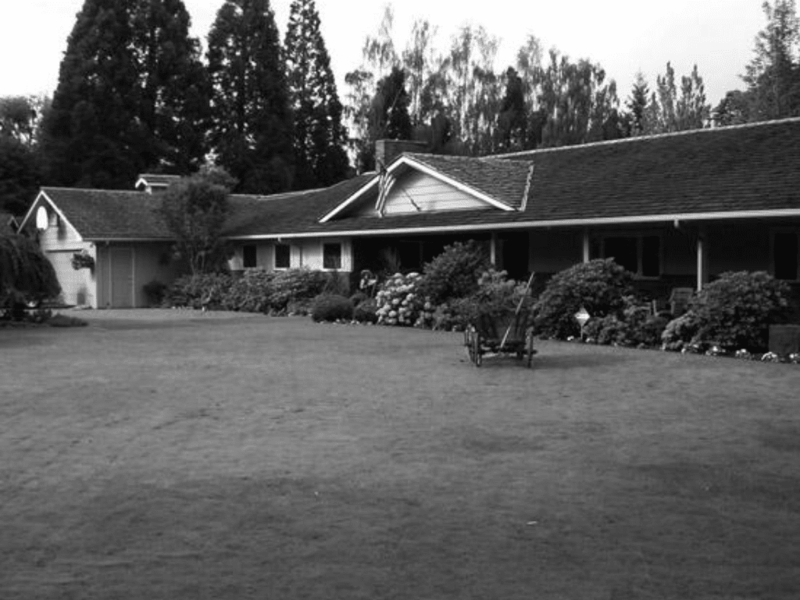 While the 1957 ranch styled home you see here isn’t really an eyesore, it doesn’t really stand out at all, either. Although nicely landscaped, the long straight roofline with a low and wide gable doesn’t provide any interest for the eye, and the deep-set windows beneath the overhang make this home feel closed off and unwelcoming. With some simple yet dramatic additions, though, this house was given a rustic charm that all the neighbors would envy. Doing away with the old siding and brick facade, the homeowners were able to update their home while keeping an old farmhouse feel using beveled cedar siding. 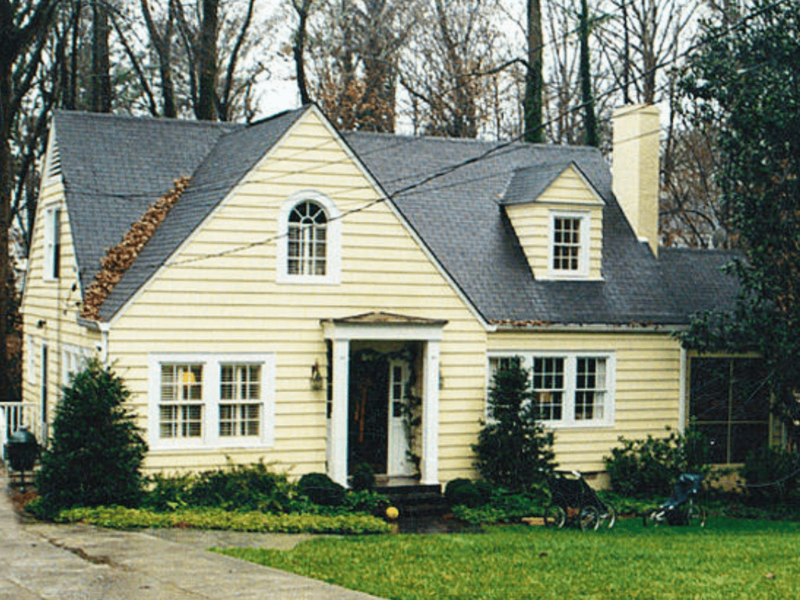 Painted in a neutral tan, the house was given a color that made it pop against its wooded background. They were able to repurpose the bricks into raised garden beds flanking the newly installed portico. Pergolas now adorn the entryway and the rustic Carriage house garage doors and side entry, to keep with that craftsman charm. A second gable offset from the original gives depth to the architectural framework of the exterior, while floor to ceiling windows soften the entry. Well placed ambient lighting makes this home truly glow in the evenings, and the waves of white flowering shrubs mixed with evergreens give it an extravagant appearance. An unruly landscaped yard coupled with an outdated exterior made this home seem a lost cause. 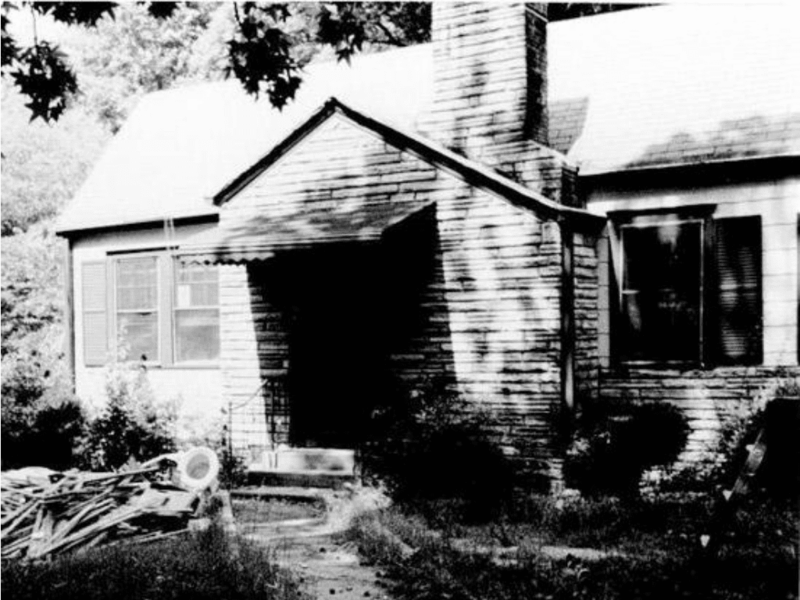 The hap-hazard design of the porch only added to the dilapidated appearance and the long overhang surrounding the exterior kept most of the home in the shadows. With a West-meets-East theme in mind, these homeowners had an extreme makeover ahead of them. A new portico launching from the modified roof gave this home a traditional craftsman look, while a redesigning and widening of the porch opened the home immensely to the light and majestic views of the area. Adding an upper level to the right side of the house with a balcony garden added layers of interest to the home design. Installation of a wooden door coupled with wood encased side lighting helped bring the entry to the forefront and meld with the wood portico pillars. 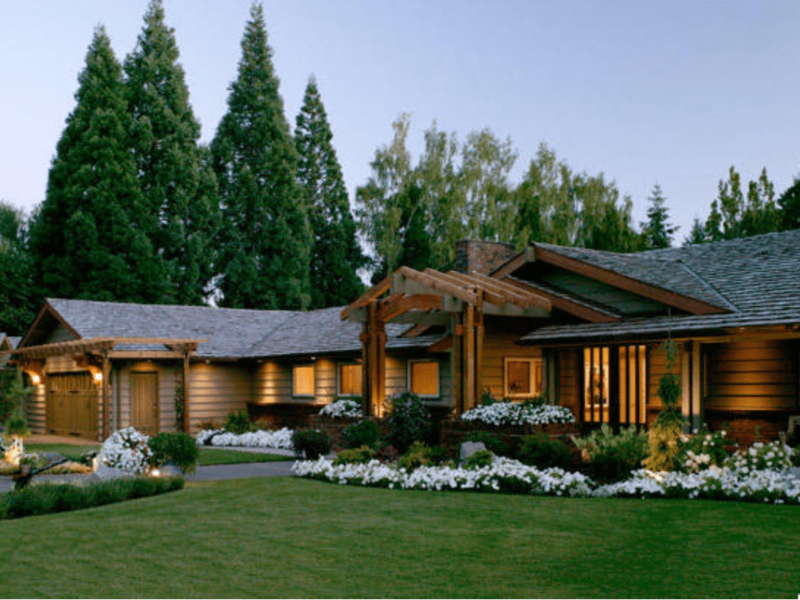 By trading most of their yard for a mixed sizing of concrete slabs bordered by an Asian inspired garden, these homeowners created a gorgeous display of Western and Eastern cultural design elements. The homeowner of this small house knew that she had some charming elements at play, but it just wasn’t enough to make it stand out the way she desired. Although the gables and arch provide a certain harmony, the owner knew that there was more to be had out of this potentially striking house. With just a few modern updates, this house was completely revolutionized. While some neighbors questioned her sanity, the homeowner proceeded with her dreams of a modern style farmhouse. She began by removing the gable above the left arch to replace it with an extended flat-roofed dormer housing a row of six-paned window panels. She then proceeded to demo the arch to the right of the house to open up the exterior and display her floor-to-ceiling paneled windows decorated with crown molding. A bright white paint sharply contrasts the black trim for a dramatic and pronounced look. She gave her overall lot a larger appearance by switching the lawn out with gravel bordering wide stone pavers, leading to a brick porch flanked by smaller low-maintenance bushes and planters. 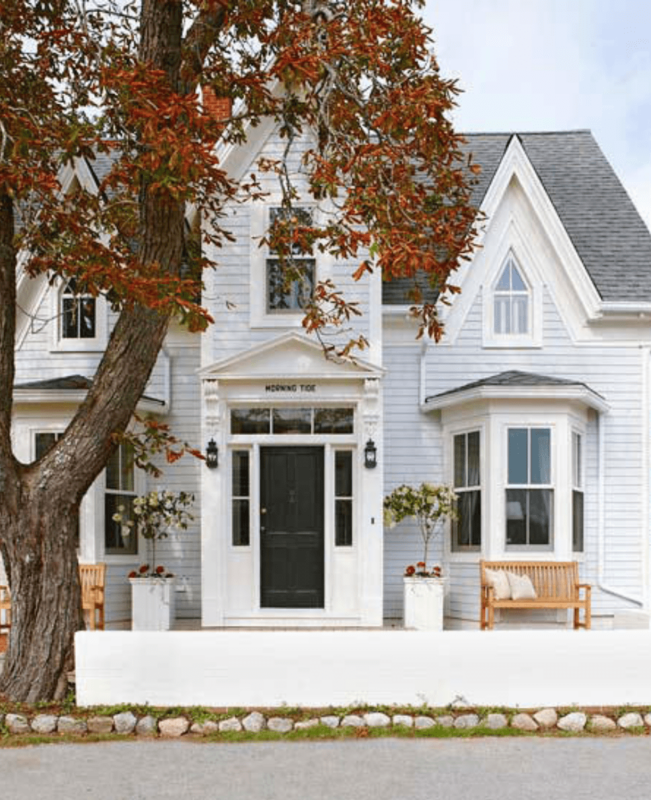 While this 1875 Nova Scotia cottage has some architectural charm to it, it tends to get lost amongst the dramatic displays of historical home design and beautiful floral accents throughout the old neighborhood. The rusty colored brick against the white house with black trim makes it look outdated and uninviting to passersby. Fortunately, with a couple of modifications, this home is no longer the ugly cousin in the gorgeous district. Keeping its old-world Gothic charm, the house was given new life with a coat of blue lace shaded paint enhanced by cream-colored trim. The door was given stature with the addition of a pediment atop a horizontal triple-paned window panel, while the door itself was sided by double-paned side lights. Black lantern porchlights were added to each side of the door, for a sophisticated Gothic look, accented by tall planters flanking the entry. This tiny old cottage was desperately screaming for renovation. The bleak look was made that much worse by boarded off windows and a dilapidated stoop. The desolate lawn surrounding the plain-faced exterior made this tiny cottage the perfect candidate for a home exterior makeover. 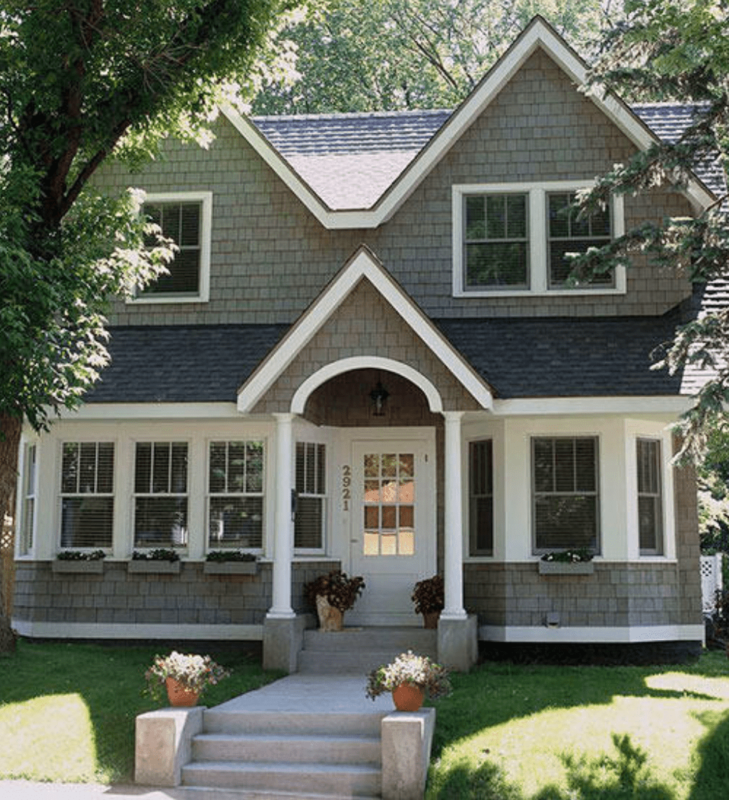 A nice slap of slate-color exterior paint accented with white trim did wonders to improve the look of this cute classic cottage. New shingles are lighter in color and help break-up the solid gray tone of the paint while tying the once out-of-place dormer shed into the overall appearance of the home. 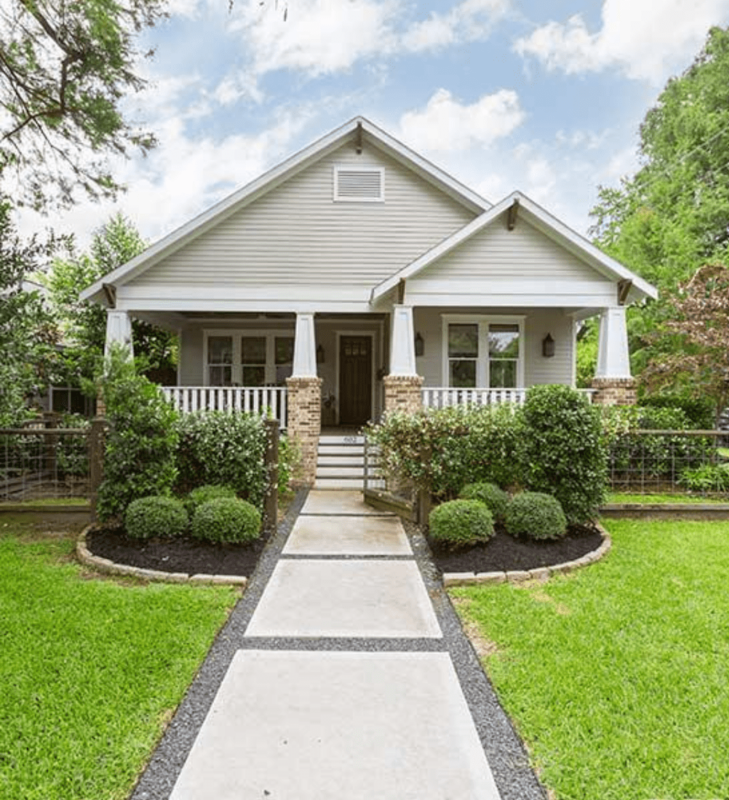 The addition of a second chimney, a portico supported by 4 white pillars covering a new wooden porch, and a freshly landscaped yard all work to dramatically increase the welcoming appearance and curbside appeal of this 1907 tiny home. This ramshackle looking house lost all of its interest in relation to the garage. Originally a dull blue above bright red brick, the house was seemingly at odds with itself. The tiny alcove that announced the entryway seemed claustrophobic and uninviting. With all that was seemingly wrong with it, though, a few thoughtful changes was all it took to make this house unrecognizable. 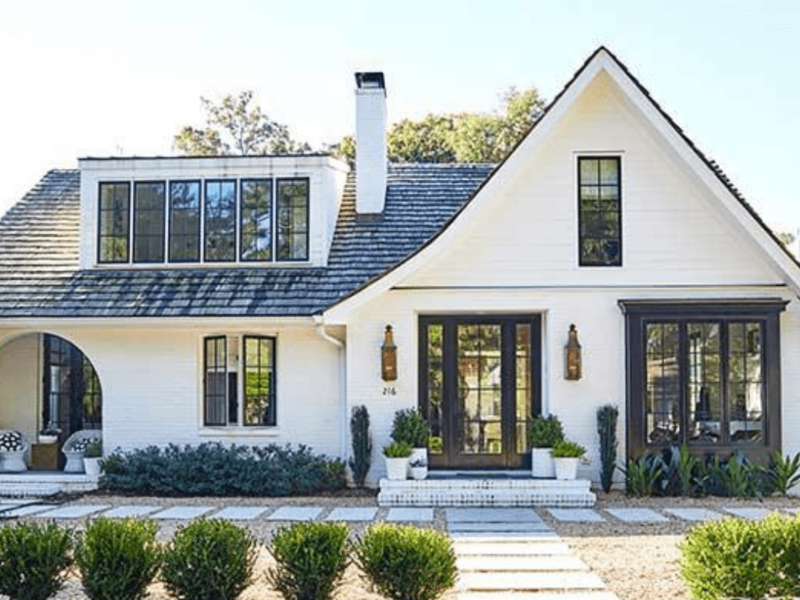 By ripping off the ugly blue siding and opting for stucco siding with cream-color brick paint to match instead, this house was instantly opened up. 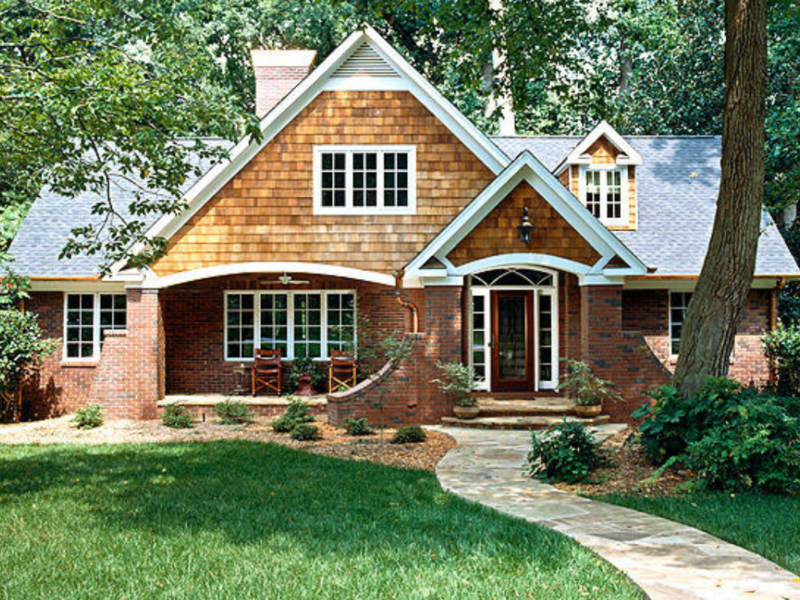 Homeowners increased focus on the entry by bringing it out to the front of the home and accenting it with gorgeous gable buttressed by beautiful cedar beams. 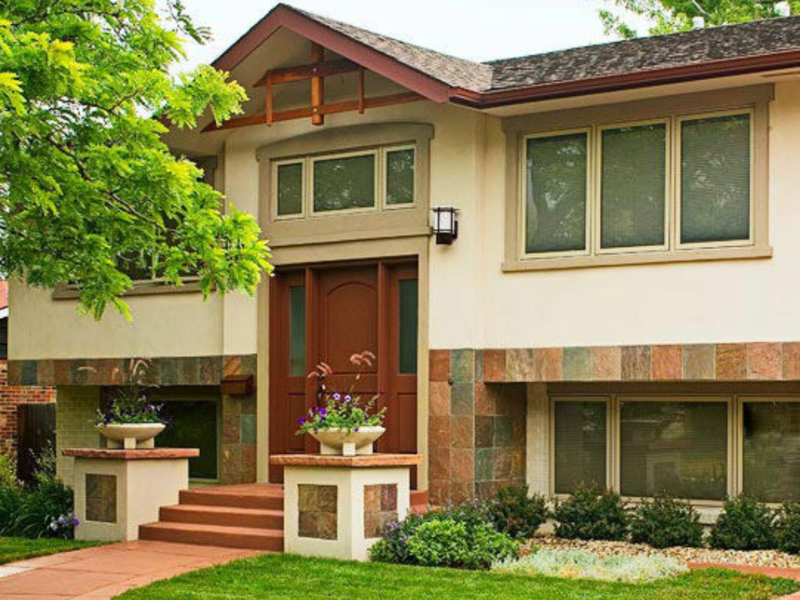 Updated windows rest in khaki-colored stucco trim, and slate stones provide accent to the bottom windows while giving some separation from the upper level. Southwest styled pedestals flank the transition from wide steps leading down to a dyed concrete pathway, while small shrubs and ferns lining the house provide interest for the eye. While there is nothing about this 1920’s cottage that screams eyesore, there is also nothing remarkable about the small home. The alcoved entry is uninviting, and the exterior paint provides no real interest. Thankfully, the homeowners had several good ideas in their pocket to spruce the home up and give it new life. Exchanging the small alcove for a gable covered portico with an arch markedly enhanced the entryway. A period-piece porchlight adds focus to the door, as the stately pillars guide the eye downward to the wide, rounded stone steps that lead to the new brick pathway. The rounded window was replaced by a six-paned panel window with crown molding, and the rest of the windows were framed in wider trim with appealing accents. Painted a neutral gray against white trim, and accented with a custom-made mahogany front door, this home has the classic craftsman’s touch!